The 1981-S Type 1 and Type 2 bundled together! 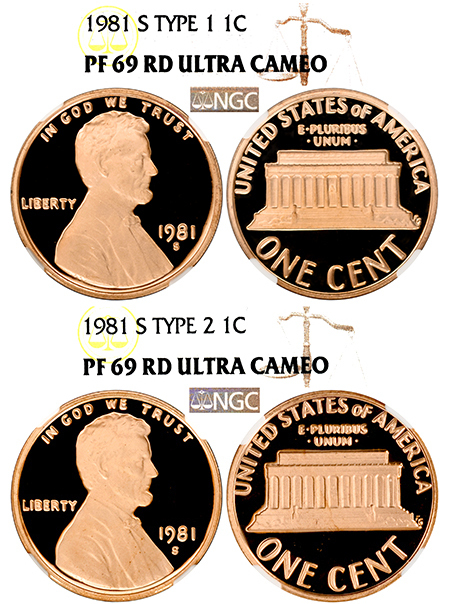 This is an ULTIMATE 1981-S Lincoln set, with both examples exhibiting BLINDING devices that are absolutely smothered in the heaviest, snow-white frost! 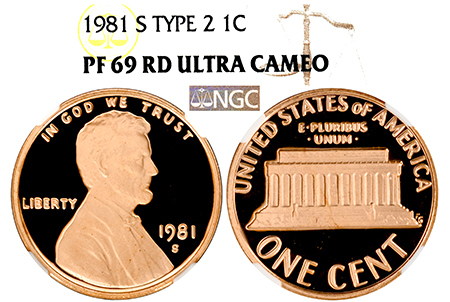 While the Type 1 has 583 graded in PF 69 Ultra Cameo, the Type 2 just holds 294 with the title- a very low number for this era in Proofs! A phenomenal ULTRA set!